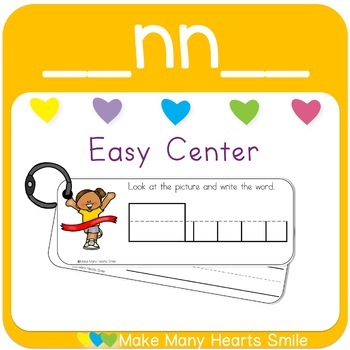 This easy prep write and wipe pack gives you the opportunity to make a fun center activity for the kids and simple for you to make just print, laminate and cut. Included in this nn pack 5 pages in color and the same in black and white. Each page include 2 cards. Words included: runner, funnel, funny, minnow, penny, winner, tunnel, tennis, dinner and banner.